Yup, we can’t believe it either. It’s our fifth anniversary and we’re having a Very Special Show. Kelli Dunham, co creator of Queer Memoir, will be hosting! We’ll also have health insurance navigators present from Callen-Lorde to provide free help with applying for health insurance and obtaining financial assistance to help pay for it. Get covered before Open Enrollment ends on Feb 15th. Queer Memoir is New York’s first and longest running LGBT storytelling series; giving voice to our collective queer experience and preserving and documenting our complex queer history. Every month, we host some of Queer New York’s best known performers, and folks who have never been on a stage in their lives and bring them together to celebrate the ritual and community building value of storytelling. 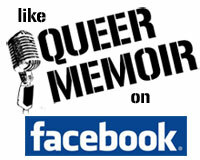 Queer Memoir was founded by comic storyteller Kelli Dunham and playwright Genne Murphy in January 2010. In four years they have created more than 75 events, drawing in over 7200 audience members and 365 different storytellers. Queer Memoir has collaborated with 13 arts organizations in four states, conducted almost a dozen storytelling workshops and used dozens of venues including the MTA, sharing stories on both the A and Q Trains.